Harper's Weekly, A Journal of Civilization. "A Ball or a Strike - Which" and "The Base-Ball Situation"
T. de Thulstrup and Frederick Evans, “Harper's Weekly, A Journal of Civilization. 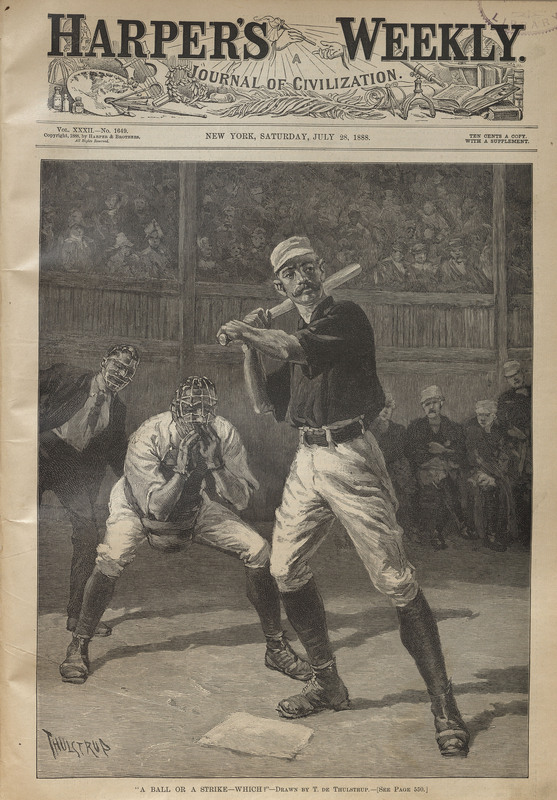 "A Ball or a Strike - Which" and "The Base-Ball Situation" ,” Lehigh University Omeka, accessed April 25, 2019, https://omeka.lehigh.edu/items/show/3596.